Stasia Ward Kehoe: So HOPPY!!!! You read that right--I'm hopping with happiness because I've just returned from a marvelous evening at Third Place Books where a jam-packed crowd celebrated the publication of Kevan Atteberry's BUNNIES! It was one of those magical nights when so many creative people--writers and illustrators--came out to support a talented and awesome member of our SCBWI community. The energy was joyful and inspiring. 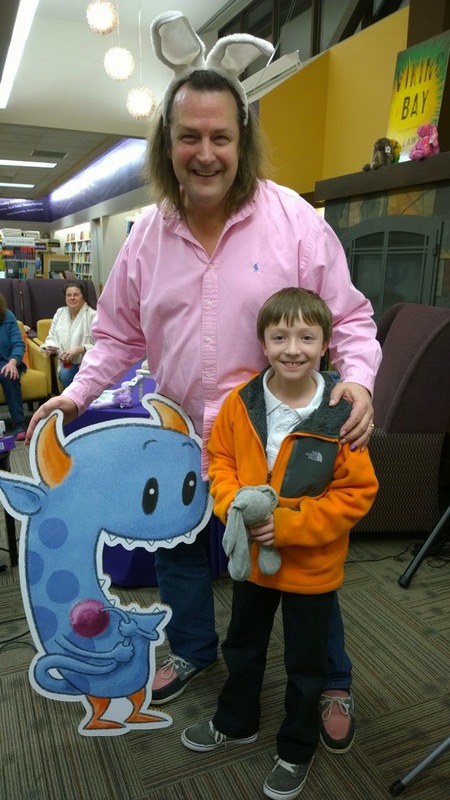 I was so happy to be there--and even happier to share the evening with my youngest, a serious bunny enthusiast (he even brought his favorite stuffed bunny to the book launch).